The Women's Residential Correctional Facility has been in operation since June, 1993. In 2013 the Women's Residential Correctional Center was renamed the Fresh Start Women's Center. 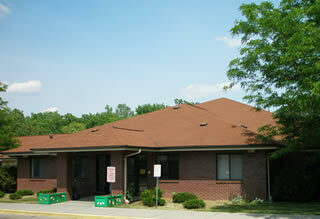 The residential portion of the Fresh Start Women's Center operates as a forty-eight bed facility housing female offenders. The facility accepts residents with varied legal status. Residents may be admitted to this facility as a condition of probation or parole, as a state work release resident, as an Operating While Intoxicated (OWI) offender, as a Federal resident or a resident on pretrial or jail transfer status. The program houses women with their children. This innovative program is unique to Iowa. It allows the resident to participate in the program with a maximum of two children under the age of five. This component of the program has been offered since May, 1994. The mission of the Fresh Start Women's Program is to provide a safe and holistic approach to supervision that seeks to educate, support and advocate for all women to transform their lives. The program emphasizes gender responsivity and a trauma informed approach to case management. Residents in all programs are expected to pay weekly rent, obtain employment and participate in treatment programming. Each resident is assigned a Probation/Parole Officer upon entering the facility. The Probation/Parole Officer (PPO II) handles the resident's employment, legal aspects, budgeting needs, specific treatment requirements, community referrals and interfaces with probation/parole officers and the Judicial system. The Probation/Parole Officer does an assessment and is responsible for addressing many of the resident's treatment needs. The program helps residents to address criminal thinking/criminal behavior, substance addictions as well as other addictive behaviors to include their pathways into the criminal justice system. The resident may attend weekly treatment groups, AA/NA/ACOA or other support groups as well as one-on-one sessions with her PO. The programming includes a series of lectures on topics such as job seeking, stress management, financial education, nutrition, parenting, and trauma. The women also journal, watch treatment films, and learn cognitive skills while at the facility. The facility staff makes referrals to outside agencies for aftercare or to address specific issues. Numerous service providers began outreach services at the facility in 2013 to allow in- house resources to the residents.